Safari is one of the most proficient apps on Mac and it has been improvised from time to time. However, a pinwheel of death is inevitable and every one of us has experienced that while using Mac. What if it comes when you are surfing on Safari and opening an important page such as banking website and it gets stuck. You can’t do anything and the only resort is to force quit Safari. If this happens more frequently, then you need to address the issue. 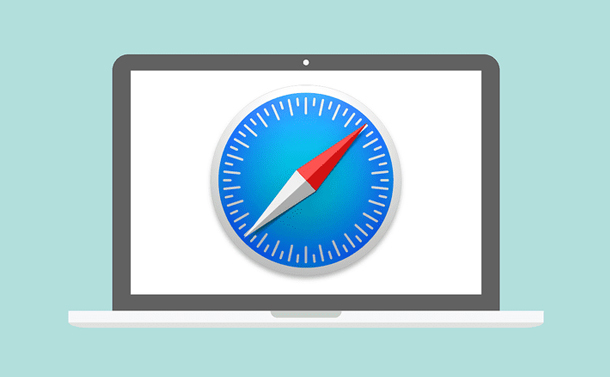 In this post, we have listed a step by step guide to deal with Safari keeps crashing on Mac. Also, we have listed some of the probable reasons why it happens in the first place. Numerous Windows or tabs opened at once. The website that you are working on, has overloaded Safari with its plugin use or processing demands. A lot of caches and cookies can be the reason. An outdated extension can be the culprit. Your Mac might be running slow. How to Fix Safari when it Crashes? Close all the tabs. Look out for the web pages that have heavy flash ads, often they are the reason of frozen Safari and it will also deter Mac’s performance. Note: Common sign of too much background processes running is if your computer heats up real quick with the fan running wild. Now force quit Safari by pressing Control Key along with the mouse cursor clicking on Safari icon in the dock. Choose Quit or Force Quit. Note: Turning Off the computer is a better option when your computer along with Safari is also frozen, then hold the Power button for 3 seconds until the screen goes dark. Press the power button again to restart your Mac. Check if Safari is updated to the latest version. To do that, relaunch the app. Now go to the top right corner and choose Safari > About. A window will open, you can see the Safari version listed. If it is not the updated version, go to Mac App Store and update it to the latest version. One of the reasons for crashing could be cookies and caches on Safari. Go to History and then choose “Clear History and Website Data”. You will get a prompt asking to clear history, cookies and other website data for the last hour, today, today and yesterday and all history. Click on all history and then Clear History. Note: This will delete all the history on your Safari along with cache and this could fix the issue of crashing. It is good to make it a habit of clearing cache and history on daily basis to avoid the issue in future. You can also remove unwanted extensions from Safari to avoid the issue. For that, go to Safari-> Preferences. On the window opened, go to Extensions tab. You will get a list of extensions that you have enabled or installed in your Safari. To remove unwanted extensions, click “Uninstall” button. You can also uncheck “enable” box for extensions which are not used frequently. If you think any of the installed extension is responsible for the crash, try uninstalling the app. Also keeping them up to date is a healthy way to reduce their load on Safari. If any of the fixes don’t work for you, then Safari might not be at fault. If you are using an Older Mac machine, and if startup disk is running out of disk space, then it could not be the issue of Safari. So, these are some of the methods which could help you to fix Safari keeps crashing on Mac. Try them out and let us know what worked for you!